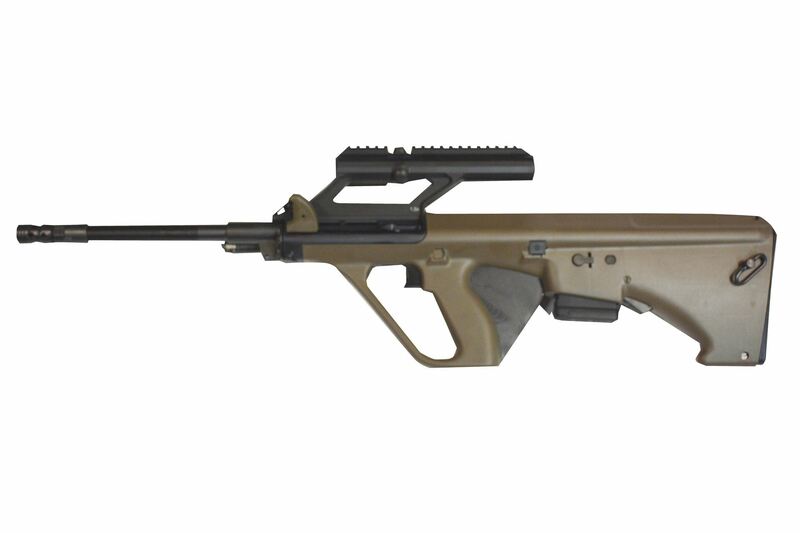 The multi-configurable M1 variant of the AUG A3 platform is the latest generation of the venerated bullpup platform. Utilizing an optics attachment platform similar to the rare and much-sought-after AUG A2, the AUG A3 M1 is available in a Short-Rail version, a High-Rail version as well as an Integrated-Optic version with either a 1.5X or 3X scope. The AUG A3 M1 Optics version has a more traditional AUG scope tube with exceptionally bright and clear optical elements, modernized with the addition of three Picatinny rail sections to accommodate accessories like a close-quarters holographic sight. With 16 numbered slots, the High-Rail version was designed to accommodate the widest range of optic choices, and the 11-slot Short-Rail version was designed for use with a reflex sight or a longer-eye relief optic. The rail and optics platforms on all three AUG A3 M1 versions are interchangeable via the three base screws that thread from the underside of the top of the receiver.